Truly stunning: the most unique hotels in Switzerland!Truly stunning: the most unique hotels in Switzerland! Truly stunning: the most unique hotels in Switzerland! There's your off-the-rack chain hotels. Then there are boutique hotels and even typically Swiss chalet hotels. With some 4600 hotels in Switzerland, the choices are many. But standing out are a group of truly unique hotels in must-see destinations such as in Lucerne or at the Rhine Falls. Check them out below and let me make a prediction: you will want to pack your bags and check in at one of these special hotels! I cannot imagine a better place to get snowed in than the Whitepod Eco-Luxury Hotel in Valais. The 18 domes are managed with sustainability in mind, whereas waste is recycled and use of water and energy limited. 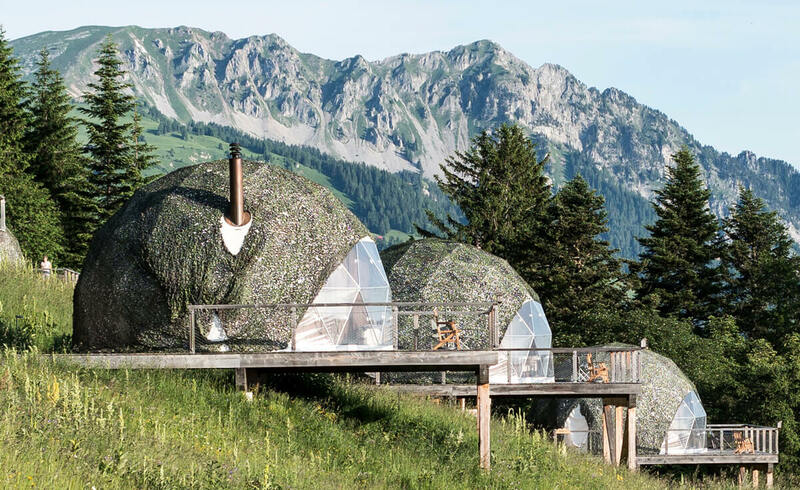 While placed in the middle of nature, it feels good to know that the Whitepod Hotel aims to minimize their ecological footprint. There are several themed pod suites and naturally, we are drawn to the Swiss Pod Suite! But maybe it is the "007" pod, the "Forest" pod or the "Zen" pod suite with its Japanese inspired design that rings your bell... Each suite has its own sauna, a private bar and breakfast delivery! Who thought that igloos can only be found at the North Pole? 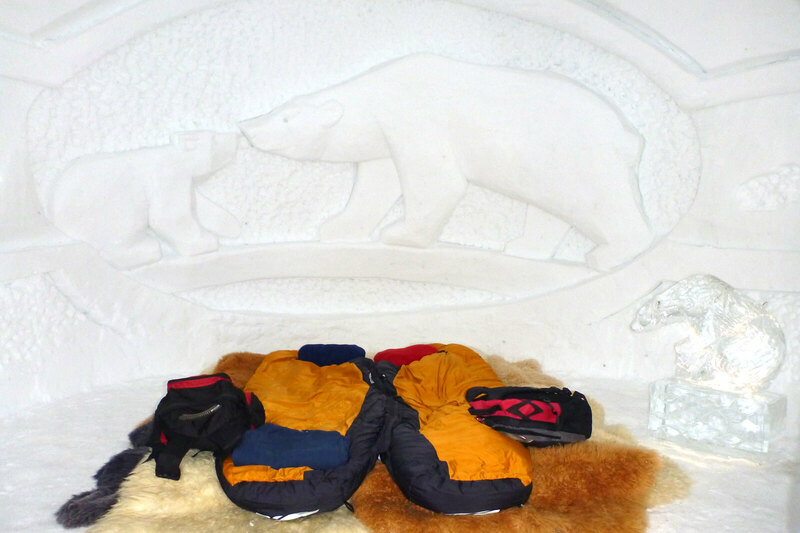 Ideal to spend a special occasion, the igloo village offers unexpected surprises such as bonfires, nighttime walks, a sauna or Jacuzzi and beautiful snow carvings. 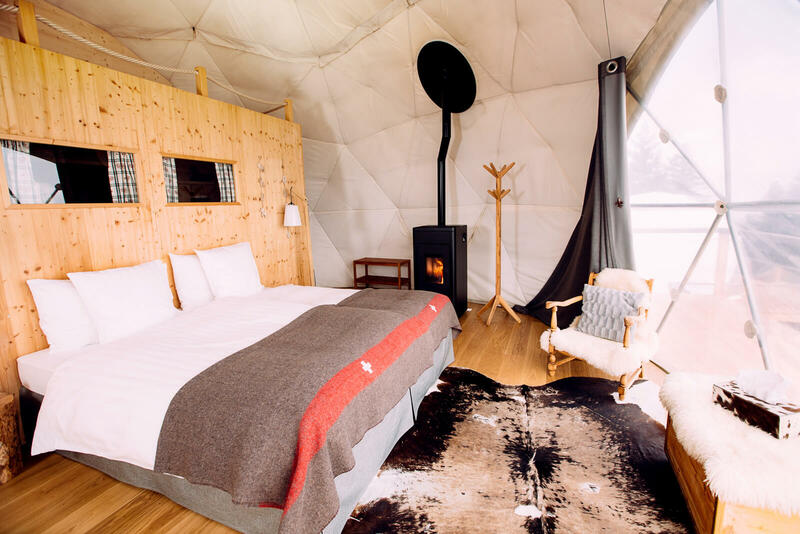 It can get really cold up there on the glaciers, so it is good to know that many igloo villages now have a heated "escape room"... Obviously, these hotels are seasonal and can be found in seven different Swiss hot spots - no pun intended! Once built as a temporary installation for Switzerland's national exposition, the Hotel Palafitte with its five-star rating has become a permanent fixture. Staying in Europe's only hotel built on stilts is actually very luxurious. There are 26 private bungalows with direct lake access, each containing a display of historic artifacts from the former lake dwellings. Switzerland's elevation is similar to Mongolia, so it only makes sense to offer a Mongolian experience. 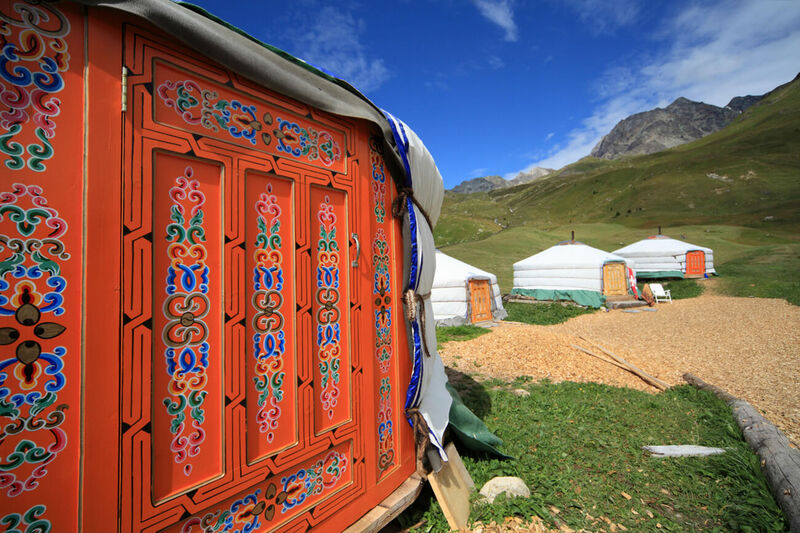 At Alp Flix in scenic Graubünden, five original Mongolian yurts with no frills await guests wanting to escape city life. The huts are advertized as having no power and heat from a wood burning stove only. Currently under renovation, the yurts will be ready for summer 2019. You have surely never thought of sleeping in a giant wine barrel! These oak barrels are open for business from May through October, and you get the choice between individually placed old barrels and a new barrel hotel akin to a Japanese capsule hotel. They are located in close proximity to Schaffhausen and the Rhine Falls, but don't fret: they are safely secured, so you will not be tumbling down the falls in the middle of the night... The Weinfass Hotel Rüedi sure takes that Swiss farming experience to the extreme! 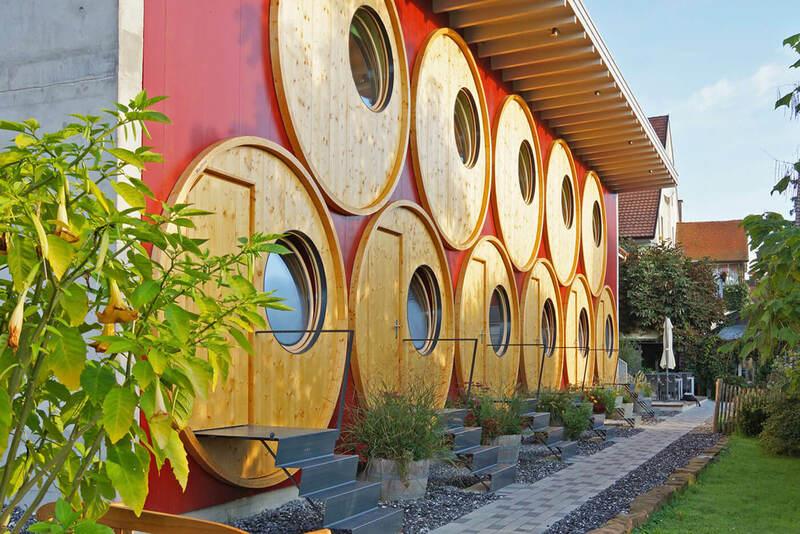 These futuristic, translucent bubble hotels are scattered throughout canton Thurgau. Four of them have been placed in a flower garden, an apple orchard and even a vineyard. Each bubble contains a double mattress and amenities to spend a romantic night in nature. Online booking starts in March and we can vouch for this experience! Who said five-star hotels are the ultimate luxury? 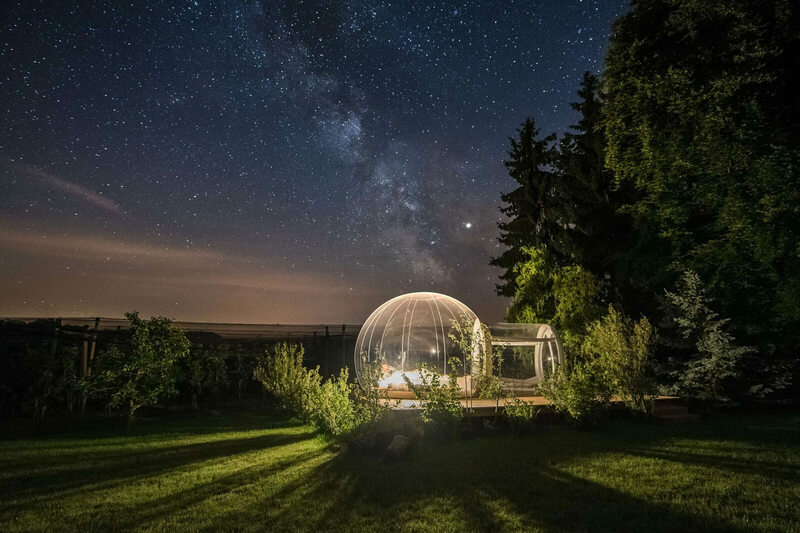 Here is an Swiss hotel with a million stars - quite literally! On the edges of a forest with an amazing panoramic view, the Cornfield Open Air Hotel has 16 rooms with shared facilities. Bring your sleeping bags and something for BBQ'ing - there will be a communal fire pit. Now, go out and try one of these unique hotels in Switzerland! Which one of these is your favorite?